I looked at and was inspired for making cards. This is the first card I made after the show. The sentiment on the cups is one I bought there! 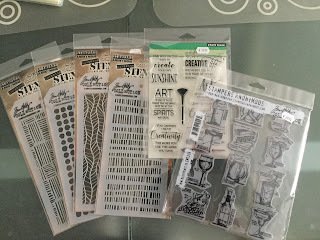 The cups are by Stampin'Up! and the beans are a stencil by Karen Burninston. 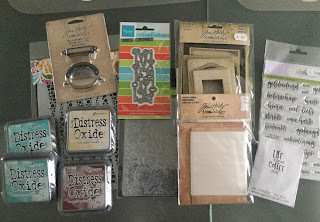 New oxide inks, and other goodies to play with. It was a great and inspirational day! Fabulous card Hetty - and a wonderful crafty haul - after all that's what you work for isn't it?? I absolutely LOVE your cards, great sentiment with the coffee mugs. WOW! 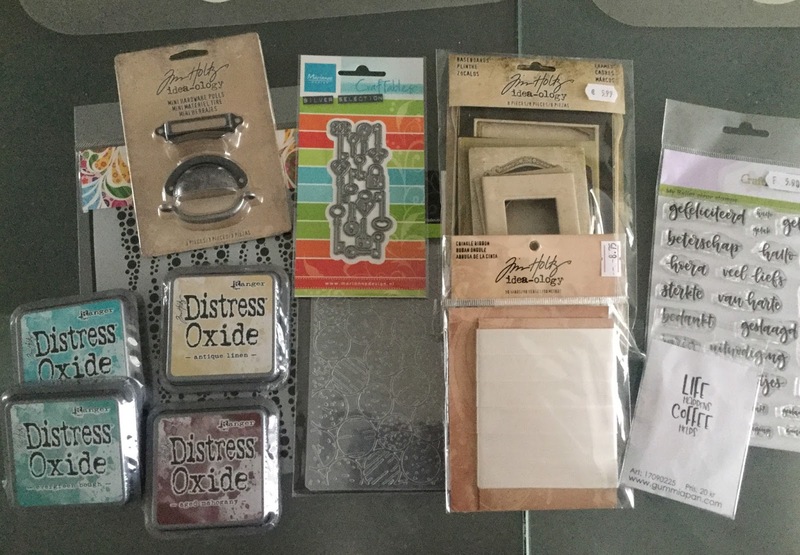 What a wonderful haul you got at the fair, looking forward to seeing what you make with it all Hetty, I know it will all be beautiful. Oh what fun card, Hetty! 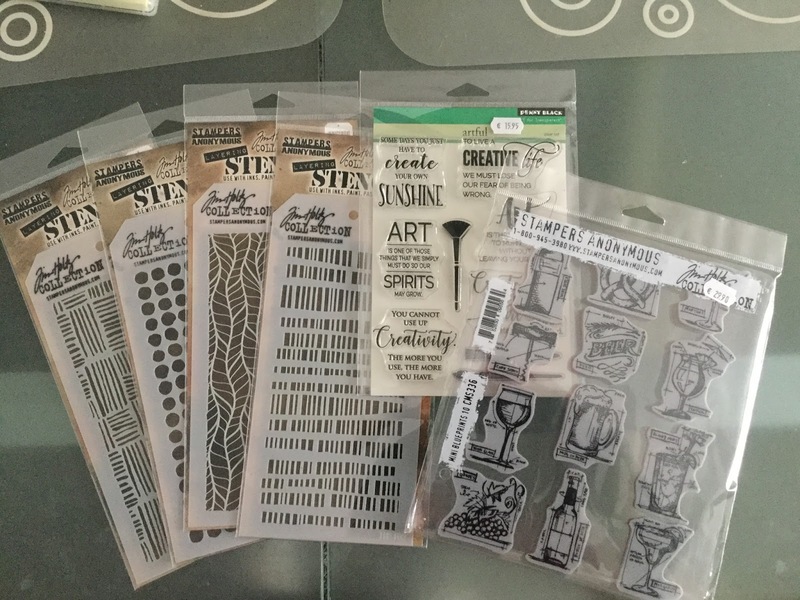 So cool that you went to Sunday's craft show and found so many goodies to bring home! It was fun looking all of them! Thanks for taking pics! 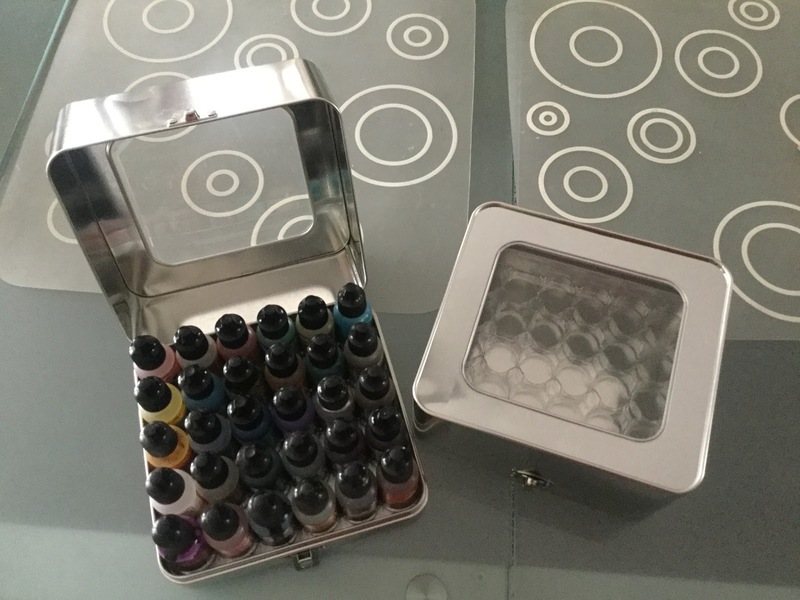 Now I'll be looking forward to seeing what you create with them!